Nicholas Chapman is Director of Holy Trinity Publications, the publishing work of Holy Trinity Monastery in Jordanville, New York. He was born in the British Overseas Dependent Territory of Gibraltar and educated in Connecticut and England. After gaining a degree in Business Administration he worked for the British government as a Tax Inspector and subsequently in the private sector as a tax and business consultant. In the early 1990s he headed a British NGO with projects in Russia, Romania, and former Yugoslavia. 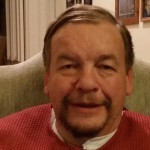 An avid reader and lover of history and travel, he has worked for the past eighteen years in the book industry whilst also writing and lecturing on Orthodoxy in early America in North America, the U.K. and Lebanon. He is amongst the authors of the Encyclopedia of Christianity in the United States ed. Mark A. Lamport (Routledge, 2016). Laura Rigas is the Director of Communications at the Massachusetts Executive Office of Education in Boston. Prior to this, she worked as Vice President for Strategic Communications at Wise Public Affairs and National Communications Director for the American Conservative Union in Washington, DC. She served in the George W. Bush Administration as Senior Advisor for Strategic Communications and Policy at the U.S. Department of Justice and Deputy Associate Director at the Office of Presidential Personnel in the White House. She earned a Masters of Public Administration at the Kennedy School of Government at Harvard University, and a BA at the College of William & Mary in Williamsburg, Virginia, where she was student body president and a member of the Board of Visitors. Nicholas Kosar is a marketing, publishing, and digital creative professional, having managed digital marketing, web development, brand management, and business development for global AmLaw 100 law firms and private sector consultancies. Prior to that, he worked in various capacities in the publishing industry for 13 years, managing book development, design services, production, and serving as managing editor of Far East Traveler magazine in Tokyo. Nick periodically lectures on early American history and society, centering around the figure of Philip Ludwell III. He earned a BA in Russian Studies from the University of Virginia, an MBA from the College of William & Mary, and a certificate in legislative studies from Georgetown University’s Government Affairs Institute. Reverend (Father) John Cox is a priest at Dormition of the Theotokos Orthodox Church in Norfolk, Virginia. 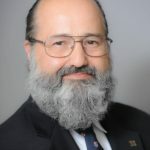 A graduate of St. Vladimir’s Orthodox Theological Seminary, he is a past Vice-President of the Orthodox Christian Association of Medicine, Psychology, and Religion (OCAMPR) and is currently chaplain for the Orthodox Christian Fellowship at Old Dominion University. 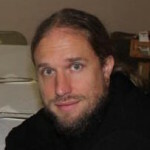 Alexander Pavuk is an assistant professor at Morgan State University in Maryland, where he focuses on American intellectual and cultural history, American religious history, and science and religion. 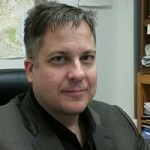 Professor Pavuk received his PhD and an MA in History from the University of Delaware, an MA in History from the University of Maryland, Baltimore County, and a BA in History from Colgate University. Nicholas Dujmovic is assistant professor of politics and the director of intelligence studies at the Catholic University of America. 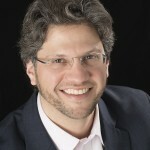 He received his PhD from the Fletcher School of Law and Diplomacy at Tufts University. Dr. Dujmovic retired from the Central Intelligence Agency in 2016 with 26 years of service as an intelligence analyst and as a historian at the Center for the Study of Intelligence, the Agency’s think tank. Prior to this, he served in the United States Coast Guard for 14 years. He is a deacon in the Orthodox Church in America.